The name Vanderwhacker first came onto my radar when I realized that the state land crossed by the Raymond Brook Ski Trail was part of the Vanderwhacker Wild Forest. 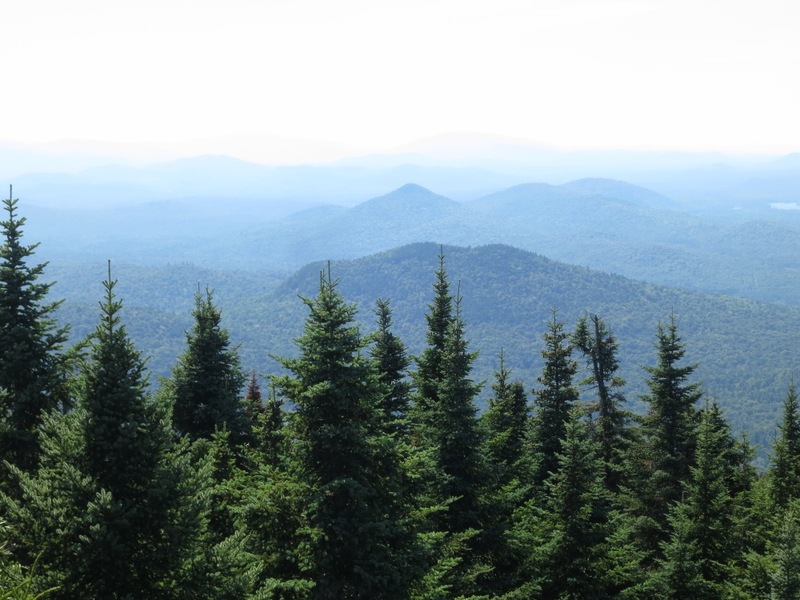 The Vanderwhacker Wild Forest is a diverse and discontinuous DEC construct, the center piece of which is Vanderwhacker Mountain and the Fire Tower. With 1700 feet of elevation gain in two and a half miles I figured my wife, our daughter and I could handle it, even with a late start. Directions: Drive 16 miles from North Creek headed west on Route 28N. Right after you cross the Boreas River, take a left onto Moose Pond Road. The trailhead is down this road 2.5 miles. It’s very rocky but a passenger car should be able to make it, if you proceed slowly. The more ground clearance the better. 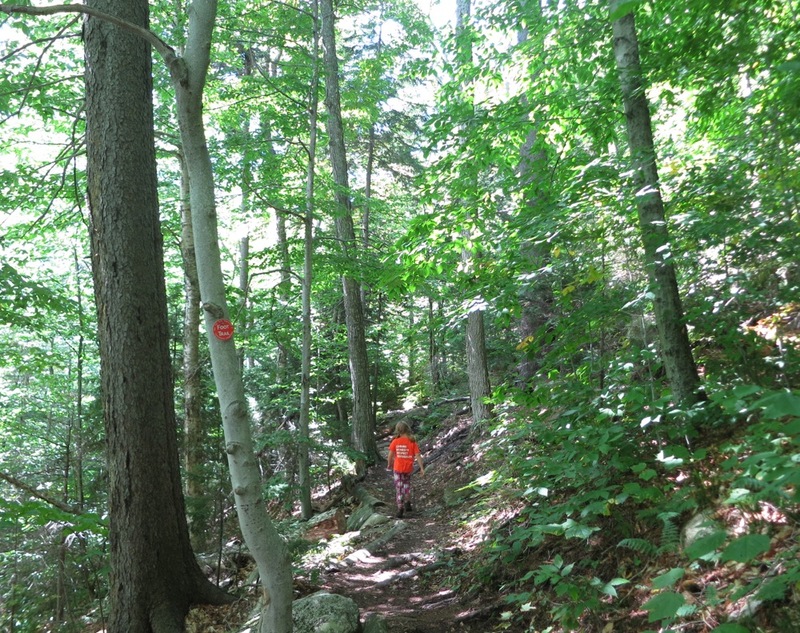 Barbara McMartin, who always allowed generous breaks for views, listed five hours for this hike. We needed every bit of it. The first part of the hike is rolling, but after you get to the old ranger cabin it starts to climb in earnest. The toughest part of this hike, going up and coming down, was a several hundred foot section where you are walking in a semi-dry streambed. Rocks were loose and wet and the terrain was steep. The view from the top has been labeled the “best view of the high peaks.” I didn’t really know what kind of views to expect from the base of the firetower, but even that was spectacular. I’ve always been afraid of firetowers. The safety equipment often seems sketchier, the higher you go. I had to go, I needed a photo. This tower looked to be in excellent shape, for a firetower. It has safety mesh almost everywhere, and no rust. I made it up and down. After lunch Neve wanted to try and she made it all the way into the top. She was elated for about a minute, looking all around. Then she looked down and noticed the one spot, where there was no mesh. It was a scary moment with tears, but eventually she came down. At the bottom, she stops crying, and says “can I do it again?” We laughed so hard. The hike down was much easier, but the streambed proved to be a lot after all that happened. It was a long day but the guidebooks are right. It is a breathtaking view of all the surrounding terrain. That is to throw people off the scent of the real “Best View of the High Peaks”! I’m no connoisseur of High Peaks views for sure. I’ve hardly been there. I got to believe it’s more amazing from the top of a lot of places. 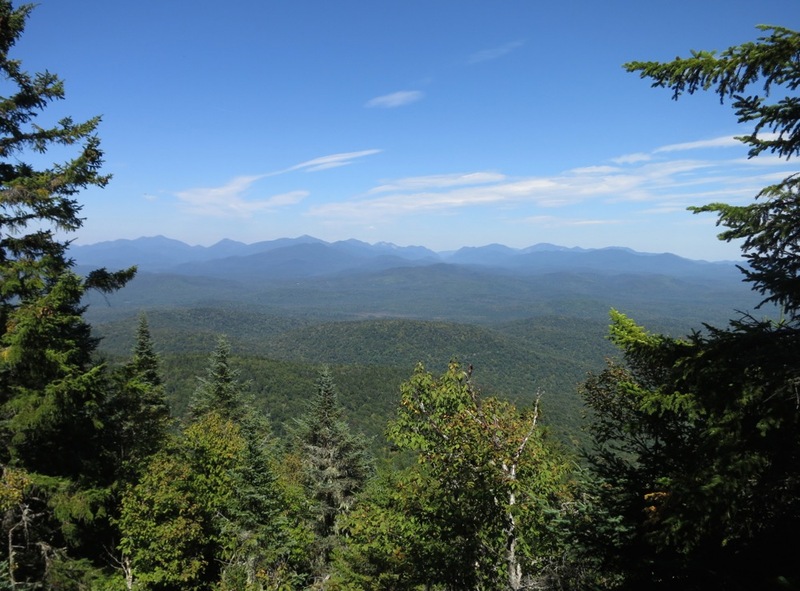 One thing I liked about Vanderwhacker was the fact was nearby in the Central Adks. Looking forward to doing this on Columbus day! 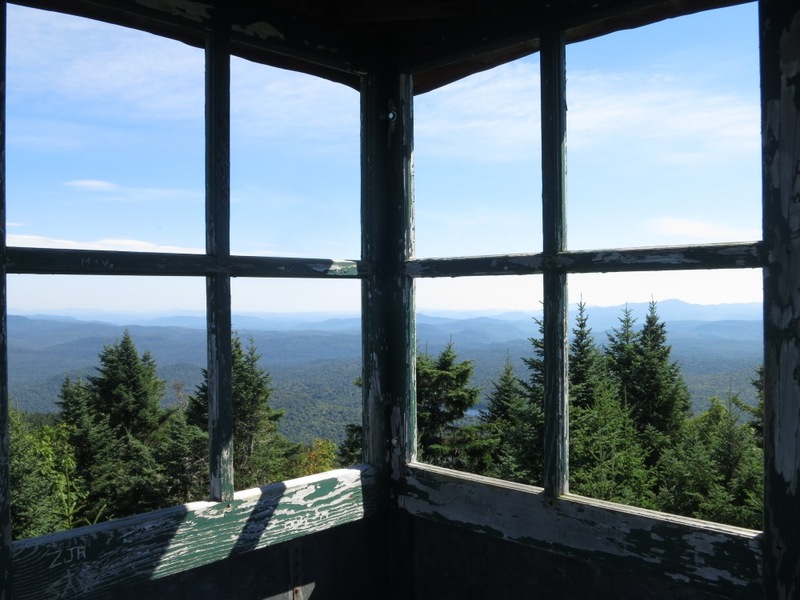 Am working on the Firetower challenge and I only have 6 Adks left and 2 catskills ones left! Thanks for the great post!